I have several questions about the Japanese transport aircraft "Thelma" and "Thalia"
1) what is it, really Tachikawa Type LO "Thelma" or Kawasaki Ki-56 "Thalia" or generally has nothing to do with reality? 2) Are there any external visual differences between the two aircraft Tachikawa LO and Kawasaki Ki-56? 3) If the figure is not Tachikawa Type LO "Thelma", can somebody share 3-view dravings or colour profile of Tachikawa Type LO? I think this drawing is Thalia, not Thelma. Thalia was a localized version of Lockheed L14 for Japanese engine Ha-26. Thelma was an improved version of Thalia with prolonged body, slightly more powerful engine and stability on flight. Thalia had a large freight door on its left as shown on your drawing. Thelma had a passenger door as original L14 had. Here is a profile of the Army Type LO Transport 'Thelma'. There aren't any good quality 3 views available online. Image is adapted from an L-14 Super Electra drawing at the drawdecals.com site. The Japanese Army Air Force purchased a number of L-14 Super Electras from Lockheed in 1938. In 1939 Tachikawa commenced production of a licensed version. 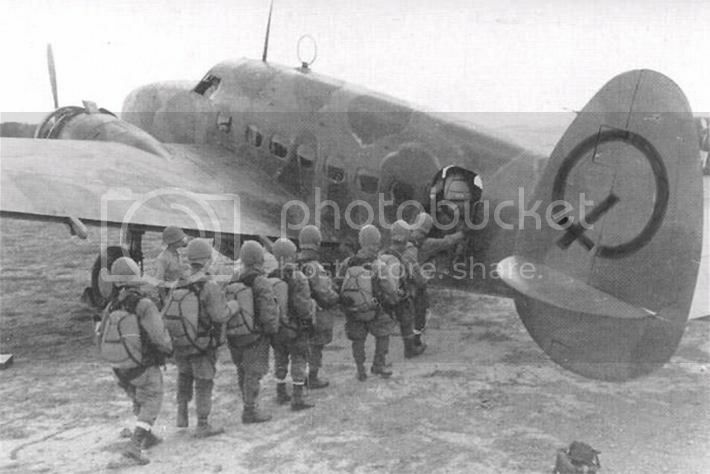 The main differences between the imported version and Tachikawa's can be seen in the pic below of a Type LO of the Teishin Hikotai loading paratroopers for the Palembang, Sumatra raid in early 1942. Note the Army Type LO has different engine cowls/nacelles, as the import was powered by Wright Cyclone R-1820 radials while Tachikawa's version had the Mitsubishi Ha-26-1 radials. Note the air intake on top of engine in the photo below. Also the Radio mast and DF loop. This man should be identifiable simply from the clear photo of his face, if he has not already long since been identified. Is he a USAAF pilot taken prisoner in China, since he has the American flag identifier on the back of his leather flight jacket? There may be some small irony in this photo, if he was sent in the Japanese transport plane behind him. [probably] a Type LO, with the Allied reporting name THELMA. These were licensed copies of the Lockheed Model 14 Electra passenger plane, originals of which were in Japanese commercial service (reporting name TOBY). Both Tachikawa and Kawasaki built the LO for the Japanese Army Air Force with Mitsubishi engines. The plane’s door and windows [in this photo] are closest to those in this equivalent RAF Lockheed Hudson (another military Electra for comparison -- I could not find profile drawings of the LO [at least until the one posted above]). Doors and windows of other leading Japanese transports do not match those in the photo, but those in this illustration [and the Type LO] do.